It is the first time my team and I work on an export plan. It was very helpful to us to as it helped us to understand how to penetrate markets and expand our target group of clients. The plan also made it clear and easy for us to figure out how we should arrange our exporting priorities and how to solve the issues we face. I gained more confidence to expand my business activities and approach new markets. I learned more about my product and gained a better understanding of how to make it more appealing to customers (better understanding of the sell-ability of my star product). It was a great opportunity to gain greater exposure. I learned about the World Trade Organization. I will now use the export plan as a key tool when approaching investors. We’re working hard to increase the market share in the markets we’re targeting. Take the time to research about the international markets you looking at in order to pursue potential clients properly. Prepare a realistic export plan and implement it accordingly, adapting to changes. Know your product positioning among your competitors. Teenah is a sustainable merchandising company that was officially established by Agnes Aistleitner and Raneem Meqbel in Irbid, Jordan. 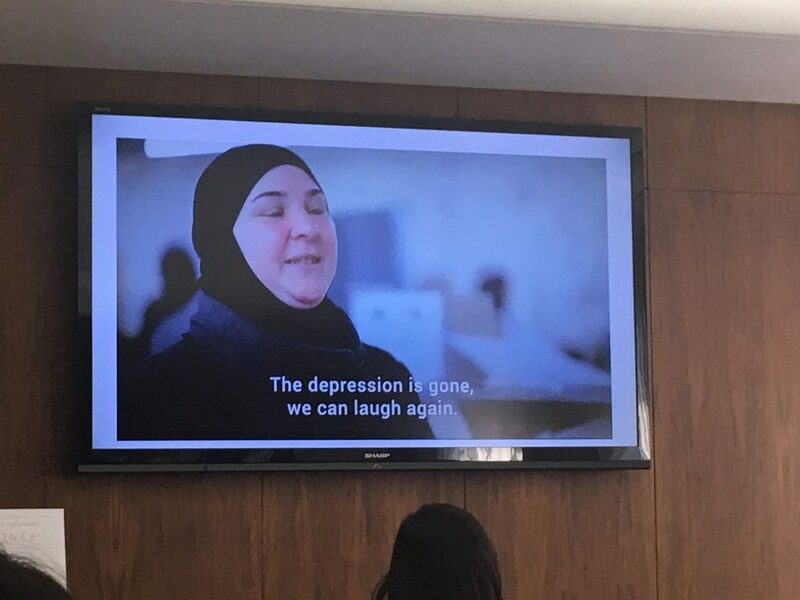 Teenah began with the 2016 refugee crisis when the co-founder Agnes wanted to contribute to improving the situation of Syrian refugees and Jordanian women in the area of North Jordan. Since mid-2017, Teenah has built a highly motivated and creative team of 15 Syrian refugees and Jordanian women whose living situation remarkably increased through both a sustainable and impactful business model. This model has drawn the attention of two big supporters who have played a crucial role in the growth of Teenah.org. UNICEF in Jordan has provided economical resources for the creation of more jobs and the enhancement of our productive capacity. Shamal Start, on the other hand, has offered Teenah its facilities for operating purposes, as well as mentorship as a business accelerator. We exist because we believe that our business model can contribute to solve the world’s most pressing problems. Our goal is to provide real opportunities to women and their families, while building productive capacity in rural areas of Jordan and providing sustainable jobs alongside with relevant training.